Video, 15 min. 41 sec. 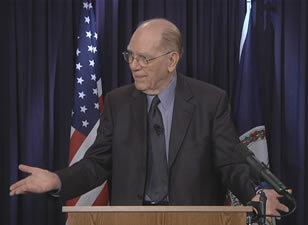 January 2013 – Virginia | Senate Joint Resolution 273, introduced January 9, 2013. February 2013 - Pennsylvania | Pennsylvania House Resolution HR73 "urging the Congress of the United States to support efforts to reinstate the separation of commercial and investment banking functions in effect under the Glass-Steagall Act and supporting H.R. No. 129." The resolution was introduced by Rep. Mark Cohen, has 9 cosponsors and has been referred to the Commerce Committee. March 2013 - Washington | Senate Joint Resolution 8009 was introduced by Senators Bob Hasegawa and Marilyn Chase asking that "Congress enact legislation that would reinstate the separation of commercial and investment banking functions that were in effect under the Glass-Steagall act." The resolution has been referred to Committee on Financial Institutions, Housing & Insurance. March 2013 - Maine | A resolution for Glass-Steagall has been approved by the Legislative Council and will come to the floor within the coming weeks. "Only the resulting downsized commercial banking operations — and not shadow banking affiliates or the parent company — would benefit from the safety net of federal deposit insurance and access to the Federal Reserve's discount window." Congress is in Session; Call their offices and meet your Congressmen to Co-sponsor H.R. 129! 202-224-3121. Also call your state legislators and demand they introduce or co-sponsor a resolution calling for the U.S. Congress to pass H.R. 129! The Gallup Organization's continuous, non-seasonally-adjusted workforce survey showed an increased unemployment rate in February, up by .2% to 8.0%; the Labor Department's seasonally-adjusted report showed the "official" unemployment rate dropping by .2%, to 7.7%. Another month, another "seasonal adjustment" of the reality of mass unemployment. But both surveys agree, the American labor force continued to shrink last month. In unadjusted terms, reflecting the very large fluctuations in employment which occur during the Winter months, the Bureau of Labor Statistics (BLS) reported that employment rose by 950,000 in February, almost exactly what was reported in February 2012 (941,000). But in "seasonally adjusted terms", the BLS inscrutably called last February a 271,000 increase, and this February a 236,000 increase, with a rare substantial rise in construction employment. But in terms of the labor force, the BLS is reporting that over the past 12 months the U.S. labor force has grown by just 700,000, while the number of Americans out of the labor force has grown by over 1.7 million; so, a net 70%-plus of potential entrants are still not entering. In February, the labor force participation rate is reported as having fallen by another 0.1%, the employment/population ratio as unchanged, and the labor force as having shrunk by a net 130,000, with 296,000 new dropouts. Gallup's extensive survey includes a metric called "payroll/population ratio" — which excludes those who describe themselves as self-employed — and that dropped by 0.3% in February and is well below one year ago, according to Gallup. Real unemployment/underemployment continues at 26.5-27 million in February, by the BLS figures augmented by economists' estimates of long-term labor-force dropouts. Average weekly earnings were just 2% higher than one year ago, average hours are the same as a year ago, 33.8. Open the Saudi File on the Sept. 11th 2001 Attack NOW! The battle to open the file on the Saudi role in the 9/11/2001 attack is now at a critical point, in the aftermath of the bipartisan attack on Barack Obama's unconstitutional seizing of power in the United States. According to well-placed intelligence sources in Washington, D.C., the White House was stunned by the bipartisan participation and broad support for the filibuster against the nomination of John Brennan as the Director of the CIA. The opening of the Saudi file can immediately begin with releasing the infamous 28 pages that were redacted in the Congressional Joint Inquiry on 9/11 report. The information will also be an important step in bringing Obama down for his alliance with the British-Saudi Al Qaeda forces in Libya and Syria, and the continuing spread of Al Qaeda terror through Southwest Asia, Africa, and now East Asia. The CIA has taken the position that only the U.S. Congress, and not the CIA, has the authority to declassify the information in a Congressional report, so Congress is the venue through which this crucial national security information can be released. 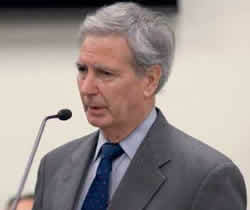 Already, Rep. Walter Jones (R-NC) has put the issue on the table with a letter to Rep. Mike Rogers (R-MI) and Rep. C.A. Dutch Ruppersberger (D-MD), the Chairman and Ranking Member, respectively, of the House Permanent Committee on Intelligence, requesting a review to release these pages. In his letter, Rep. Jones says, "The families of the victims of 9/11 have a right to this information as do the American people." Rep. Jones cites attached correspondence from Mr. Mike Low, whose daughter died on American Airlines flight 11 in the 9/11/2001 attack. (see below for text of Jones' letter). 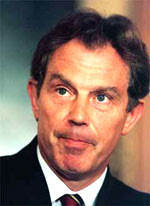 I want to thank you for conducting the very important hearings last week on the killing of U.S. Ambassador Chris Stevens and the three other State Department officials during the Benghazi attack on September 11, 2012. In light of those hearings, I urge you, as chairman and ranking member, to recommend a declassification of the 28 pages of the Congressional Joint Inquiry report describing what role the Saudi Arabian government had in the terrorist attack on 9/11. As you know, former Senator Bob Graham has conducted extensive research into this issue and has been nationally recognized and interviewed for his belief that these 28 pages should be declassified. The families of the victims of 9/11 have a right to this information, as do the American people. Since your committee has jurisdiction over this matter, I ask you and the ranking member to please review the attached correspondence from Mr. Mike Low, who lost a daughter on American Airlines flight 11 on that tragic day. As Mr. Low states, "Our hope is that over time, history will have the total truth of all the events of 9/11." Mr. Chairman, the American people have a right to know the truth. It is critical for the citizens of this country to have trust in their government. I hope that you will take this into consideration and I look forward to hearing back from you. In an interview on CNN March 8th, Democratic Senator Ron Wyden (OR) gave total support for the filibuster effort waged by Sen. Rand Paul (R-Ky) that Wyden joined. "I call ourselves the checks-and-balances movement, where we say the president has tremendous power in the national security arena, but it is not unfettered power," Wyden asserted, praising Paul for the move and stressing that this action was bipartisan. "Not too much ... because I think there is a sense that there is a new political movement emerging in our country and it crosses party lines [emphasis added], and it is all about Americans who want to see policymakers strike a better balance between protecting our security and protecting our liberty. Rand Paul also underscored the supra-partisan nature of the battle, tellling Fox News March 8: "Four or five Democrat Senators, which is, to me, a great compliment, came up afterwards and said they agreed with what I was saying and they appreciated the spirit, they appreciated the zeal. And so, you know, it was a great compliment to me that people felt like I was fighting for some higher cause than simply partisanship." Wyden emphasized the absolute importance of getting the answer from Attorney General Eric Holder that Obama does not have the authority to kill an American not engaged in combat on American soil, adding that he, Rand Paul, and others are continuing to ask questions. Wyden described the Holder letter as "winning a two-year battle" against the White House and Justice Department. "[W]e got these documents over, in effect, winning a two-year battle. 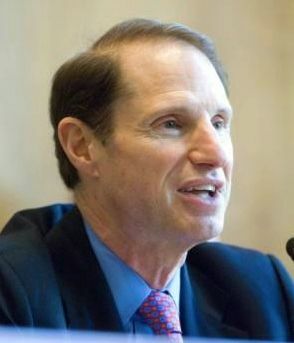 I had requested these documents seven times over two years," Wyden told reporters. From Washington, DC's liberal's liberal Eugene Robinson in the Washington Post, to Democracy Now's Amy Goodman in the London Guardian, anti-war, pro-Obama figures have been praising Rand Paul, who was referred to in the newspaper Politico as a "folk hero" after the more than 13-hour filibuster. In his March 8 WaPo column, Robinson wrote, "For grabbing us by the lapels, Rand Paul deserves praise. Yikes, I said it again." 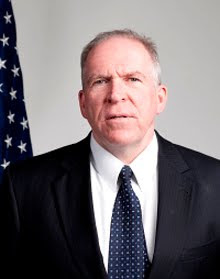 In an article in the September 21, 2012 issue of Executive Intelligence Review, Jeff Steinberg exposed John Brennan's personal role in covering up for the Saudi-British terror apparatus along with Obama. Brennan was the White House official called by former Sen. Bob Graham (D-FL) when Graham repeatedly implored the White House to reopen the 9/11/2001 probe in order to expose the Saudi role. 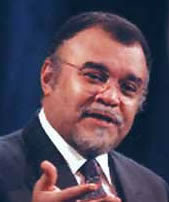 "For a long time, Graham's greatest fury was directed at the Bush-Cheney White House, for blocking the publication of a 28-page chapter in the Joint Commission's draft report, that exposed the role of Saudi Arabia's then-Ambassador to the United States, Prince Bandar bin-Sultan, in the financing of the 9/11 attacks. "Some of that anger is now directed at the current occupant of the Oval Office, Barack Obama. In a September 2011 interview with MSNBC's Dylan Ratigan, Graham confirmed that he had tried, repeatedly, to get President Obama to reopen the 9/11 probe, starting with the declassification of the 28-page chapter. He told Ratigan that he had personally spoken with John Brennan, Obama's top White House counter-terrorism aide, and a former career CIA officer, and had implored him to get the President to open the secrets of 9/11, including the Saudi connection. Now, almost four years into the Obama Presidency, not a finger has been lifted to break the coverup. "If anything, Obama tightened the lid on the 9/11 Saudi file by ordering his Solicitor General in early 2009 to intervene in a Federal court case to secure sovereign immunity from prosecution for the Saudi Royal Family." Russian news daily Russia Today, in an article, "English-speaking Islamic extremist increase worries US, EU," on March 8 cited an earlier, published report that said European intelligence sources had revealed that up to 60-70 people have left Britain to join in military factions to fight against the Syrian government, Reuters reported. They have also noted an increase in the number of Internet messages directed at potential English-speaking militants in the UK to join in the fight against Syria's government. The majority of those who already left the UK to fight in Syria have joined the militant anti-Assad faction known as Al-Nusra, which the U.S. has named a terrorist group connected with Al-Qaeda in Iraq. On the same day, Syria wrote to the United Nations about a measure by Turkey to assign a special mission to a Libyan ship carrying arms and terrorists to help the militants fighting against Damascus. According to that letter, a Libyan ship, dubbed Intisar, is carrying 400 tons of weapons for the militants fighting against the Syrian government. The Libyan ship, which entered Turkey's Iskenderun Port about two months ago, also carried 250 Libyans to fight along with militants in Syria, the letters said. These arms were purchased using Saudi money. In early January, an Intelligence Online report released in Paris indicated that Saudi General Intelligence, under its chief — Prince Bandar bin Sultan, a close associate of former British Prime Minister Tony Blair — acts as the main source of funding for al-Qaeda-linked groups fighting in Syria. The Saudi intelligence group, according to the report, took advantage of its intelligence in Lebanon and its connections with armed militant groups in Iraq to form and fund the al-Nusra Front, which has recently come under fire for its al-Qaeda affiliations, Al-Manar News reported. "Thanks to funding from the General Intelligence Department and support from the Saudi intelligence in Lebanon, al-Nusra was able to swiftly arm its forces and make the Syrian regime suffer painful blows through its expertise in Iraqi bombings, the report noted.